Obituary – Thompson, Donald Dean « Perry High School Alumni Association, Inc.
Vice—President F. F. A. Secretary 47-49, F. F. A. 46-50, National Honor Society 48-50, National Honor Society President 49-50, Boys State 49, Perryscope Staff 49-50, Wrestling 46-50, Wrestling Captain 49-50, Senior Class Vice—President 49-50. Heaven’s Mat Awaits: Donald Dean Thompson was born in Perry, Oklahoma on Dec 3, 1932. He passed away suddenly, on Friday, October 4, 2015, while seated at the dining table of Sandpiper Bay Health Care Center in Wichita, Ks. Donnie was one of Oklahoma’s Champions on the wrestling mat. 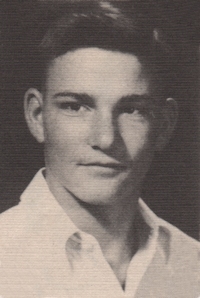 He graduated in 1950 as a Perry Maroon Wrestling State Champ and went on to attend OSU from 1952 – 1954. In 1954, he took 2nd place at the 24th NCAA Wrestling Tournament at Oklahoma, in the 147 weight class. When asked in his later years – “If you had your life to live over again, what would you do differently?”, and without any pause for thought he quickly replied “I’d pin Tommy Evans”. While studying, and wrestling, at OSU he earned a degree in Agronomy, and married Jeanie Bross. They had three children; Jon, Jayne, and Cindy. After eleven years, the marriage ended in divorce. Over the course of his life, he married two more times to which no children were born. After college, he served two years as a 2nd Lieutenant in the United States Army – Corps of Engineers. Donnie was a humble man; the kind who would give the shirt off his back to someone that needed it. He didn’t care about money; he cared about people. He was the kind of man who would tip a down and out waitress $50 for a cup of coffee. His kindness and compassion for others may have stemmed from his own struggles with anxiety, depression and instability. He was driven by a wandering spirit, and had difficulty staying in one place or working a steady job. The first line of his favorite poem described his inner life; “I wandered lonely as a cloud…”, yet he found beauty in the world around him and “…danced with the daffodils”. He loved the outdoors, especially in the states along the Continental Divide, where he loved to hike, fish, swim, chop wood, and camp out. He also loved recalling the names and memories from his Wrestling days – Coaches (John Divine, and Art Griffith), and fellow wrestlers (Gene Nicks, Ned Blass, Myron Roderick, Danny Hodge, and others). 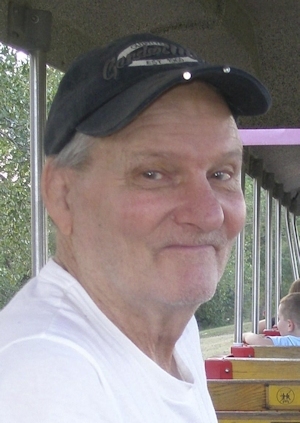 In 1998 he relocated from Farmington, NM, to Wichita, Ks, where he lived with his daughter – Jayne, and spent the last three years of his life, as a resident at Sandpiper Bay. He is preceded in death by; his mother and father – Gladys and Kenneth Thompson, sister – Mariella, brother – Lyell, and son – Jon. And, is survived by: his brother’s, Jack of Perry, Ok, and Gene of Seagraves, Tx, daughters – Jayne and Cindy, nieces, nephews, eight grandchildren, and 9 great grandchildren. He will be greatly missed by all who knew and loved him, and will be quietly laid to rest beside his parents and sister at Grace Hill Cemetery in Perry Ok. There will be no funeral services, but condolences & memories can be posted online at www.perrycares.com.